For people who have previously been approved by the Kennel Club to award CHALLENGE CERTIFICATES in the breed, who have completed their first appointment and have the support of the National Whippet Association. For people who fulfil all the requirements for the A3 list, who have been assessed in accordance with Kennel Club requirements and accepted by the Kennel Club for inclusion on an A2 list and have the support of the National Whippet Association. 1. 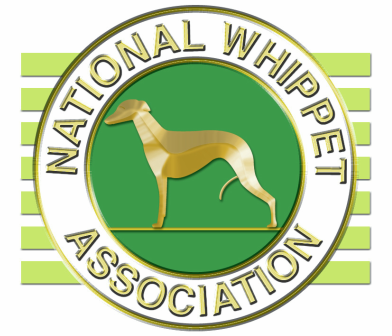 Minimum of 7 years judging experience in the breed and have the support of the National Whippet Association. 3. To have judged a minimum of 250 dogs of this breed. 8. To have bred and/or owned a minimum of 3 dogs when they obtained their first entry to the Kennel Club Stud Book (save in exceptional circumstances). 1. Minimum of 7 years judging experience in any one breed (to include 5 years in Whippets) and have the support of the National Whippet Association. 1. Five years experience owning and exhibiting this breed and have the support of the National Whippet Association. 3. To have judged 75 dogs of this breed. 5. To have bred and/or owned a minimum of 1 dog of this breed when they obtained their first entry to the Kennel Club Stud Book (save in exceptional circumstances). 5. To have bred and/or owned a minimum of 1 dog of any breed when they obtained their first entry to the Kennel Club Stud Book (save in exceptional circumstances). 2. To have judged a minimum of 25 dogs of this breed.